Due to the shutdown of the U.S. government and the U.S. Fish and Wildlife Service’s closing of the Wheeler National Wildlife Refuge in recent weeks, the 75th Anniversary Celebration originally set for October 5 was cancelled. Festival organizers are pleased to announce the celebration has been rescheduled to December 7, 2013. Seventy-five years ago, the Wheeler National Wildlife Refuge was established, and today serves as a home to some of the United States’ most precious wildlife resources. Rescheduled for December 7, the birthday celebration is planned to commemorate the establishment of the Refuge and to highlight the refuges’ history and success as a natural resource management demonstration project. Hosted by the Wheeler Wildlife Refuge Association, the 75th Anniversary Celebration will include bird banding, arrowhead making, hot air balloon tethered rides (weather permitting), archery, corn maze and hay rides. From 9 a.m. to 5 p.m., the celebration will provide festivalgoers with multiple opportunities for natural resource exploration through demonstrations and hands-on activities. The Alabama 4H Center will have two presentations of Raptor Trek!, a very popular live bird of prey program featuring free flying owls, hawks, and a bald eagle. Show times are at 9 a.m. and 3 p.m.
Larry and Cheryl Battson, founders of Wildlife Educational Services, will present their live wildlife program in three scheduled programs at 10 a.m., 1 p.m., and 4 p.m. They have worked with Animal Planet, Discovery Channel and Mutual of Omaha’s “Wild Kingdom” and their animals have appeared on television programs such as “The Tonight Show”, “Oprah”, and the “Today” show. The Teddy Roosevelt Show featuring Joe Wiegand entertains audiences nationwide with his reprisal of President Theodore Roosevelt. As a one-man theater show, Joe’s T.R. shares stories full of adventure, laughter, and inspiration. T.R. will be presenting at 11 a.m. and 2 p.m. and will serve as Master of Ceremonies for the event. Additional planned activities include a Castingkids Contest presented by Bassmasters of North Alabama and Jakes Take Aim target shooting/firearm safety presented by the National Wild Turkey Federation. Other demonstrations include archery, flint napping, bird banding, hay rides, hot air balloon tethered rides (weather permitting) and a corn maze. Exhibitors including Alabama Wildlife Federation, Ducks Unlimited, National Wild Turkey Federation, TVA, Alabama Department of Conservation and Natural Resources, Natural Resource and Conservation Service, Alabama’s Mountains, Rivers and Valleys Resource conservation and Development Council, and the Wheeler Wildlife Refuge Association also will be on hand to share information. All activities and programs are free to the public. Food and drink will be available for purchase throughout the day. Wheeler National Wildlife Refuge was established in 1938 by Executive Order of President Franklin D. Roosevelt as an experiment to determine the possibility and feasibility of attracting migratory birds onto a multipurpose impoundment. Soon after, ducks began wintering on the refuge and the project was deemed a success. Today, the refuge hosts over 600,000 visitors annually who come to fish, hunt, and observe wildlife in its natural setting. Covering 35,000 acres, it attracts thousands of wintering waterfowl each year and is home to Alabama’s largest wintering duck population. The Refuge also supports the state’s largest concentration of Sandhill Cranes and is the winter home for a small population of the endangered Whooping Crane. For more information on Wheeler National Wildlife Refuge, visit www.fws.gov/wheeler. The Wheeler National Wildlife Refuge Visitor Center is located at 3121 Visitor Center Road in Decatur. 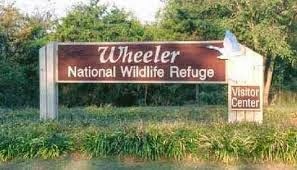 For more information on the 75th Anniversary Celebration, visit www.friendsofwheelerrefuge.org. Decatur's Princess Theatre Hosts 4th Annual River City Film Festival on March 14-15- Call for Entries! The Princess Theatre Center for the Performing Arts hosts the 4TH annual film festival at the historic Theatre that once served as Decatur’s movie theater from the 1920’s until 1978. The annual River City Film Festival, presented by the Princess Theatre in partnership with the Decatur City Schools and Calhoun Community College, celebrates and promotes film as art and education. The film competition will showcase innovative feature and short films by students and independent filmmakers with screenings, workshops and an awards ceremony on March 14-15, 2014. Prizes awarded. 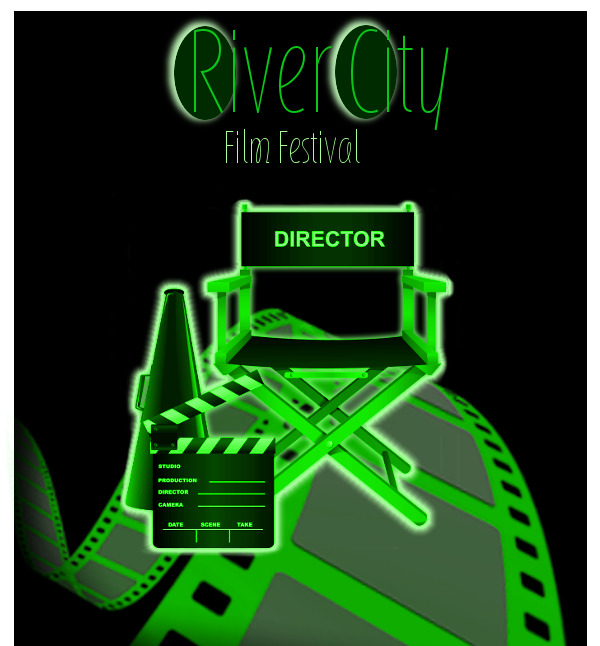 The River City Film Festival invites filmmakers of all ages to submit short (less than 20 minutes) or feature films now by the deadline of February 7, 2014. The Festival is open to all movie genres with entries for original short and feature films in one of the following categories, Young Filmmaker Short (grades k-12), Young Filmmaker Feature, Independent Filmmaker Short and Independent Filmmaker Feature. The competition rules, entry fees, deadlines and submission information are posted on the festivals website at www.rivercityfilmfestival.org. Film and video production workshops will be scheduled during the Festival. The River City Film Festival is made possible by grants from the Alabama State Council on the Arts and the National Endowment for the Arts with additional support by Watkins College of Art, Design & Film and The Daniel Foundation. For more information on the Film Festival, visit www.rivercityfilmfestival.org or call 256-350-1745 x301. 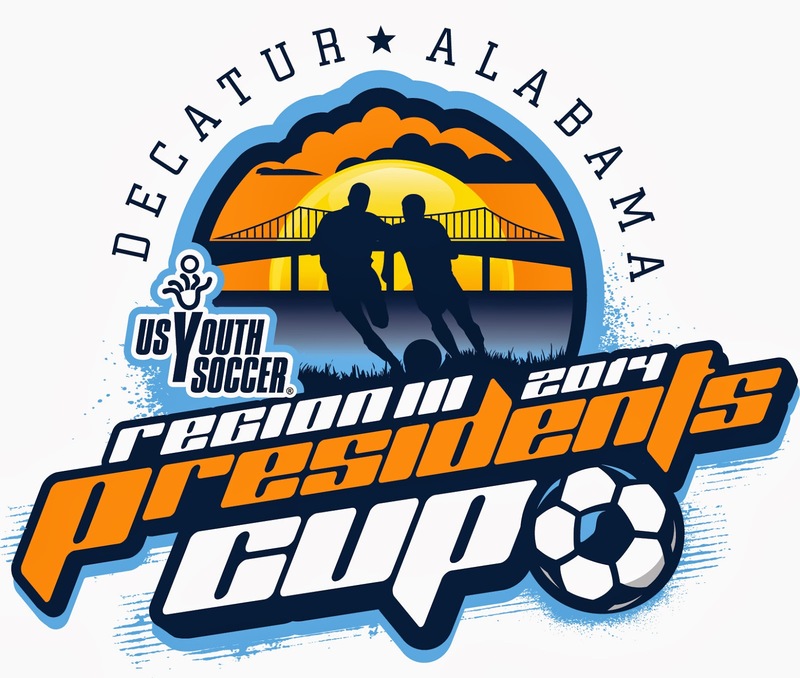 The City of Decatur will host the US Youth Soccer Region III Presidents Cup in 2014 attracting 120 elite teams from across the southeastern region of the United States. Set for June 12-15, 2014, the event will be hosted by the Decatur/Morgan County Convention and Visitors Bureau and Decatur Parks and Recreation. The Region III Presidents Cup is for boys and girls, U13-U17, who are competing for a spot at the US Youth Soccer National Presidents Cup. In 2014, this will be Region III Presidents Cup fourth appearance in the state of Alabama. In 2006 and 2011, the city of Decatur co-hosted the prestigious event with the city of Huntsville attracting over 2,500 soccer players and families and filling hotel rooms in Athens, Madison, and Huntsville during both visits. The City of Decatur hosted the tournament also in 2013, which produced an economic impact of over $2.9 million for the city and surrounding area. All games will be played at the Jack Allen Recreation Complex and Spirit of America Fields at Point Mallard Park. Region III consists of teams from Alabama, Georgia, Florida, Tennessee, Mississippi, South Carolina, North Carolina, Arkansas, Louisiana, Oklahoma, North Texas and South Texas. The Region III qualifier determines the teams in the Under-13 through Under-17 Boys and Girls age groups that will advance to the US Youth Soccer National Presidents Cup, which is typically held in July. For more information on the Presidents Cup, visit www.usyouthsoccer.org/presidentscup/index.asp. 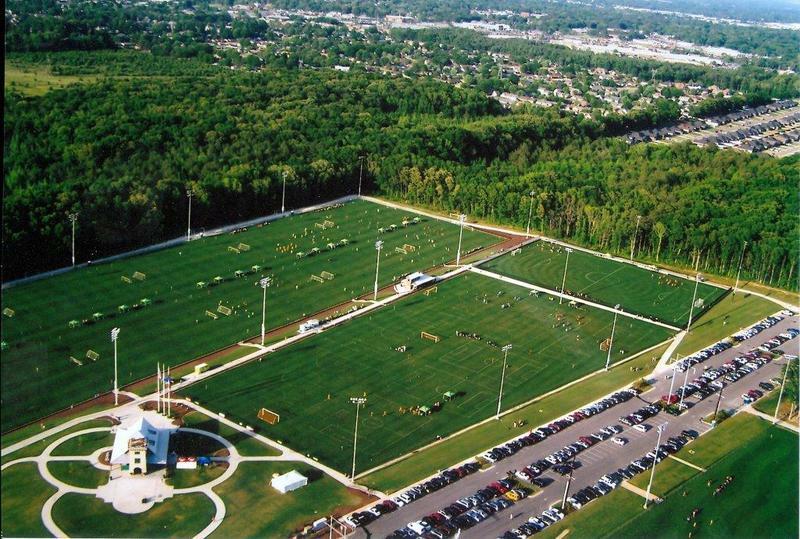 For more information on the Jack Allen Recreation Complex and Spirit of America Fields, visit www.decatursports.com. Sponsored by the Riverwalk Yacht Club and Extreme Marine, the annual Parade of Lights will take to the waterway, illuminating Wheeler Lake, on Saturday, December 14, 2013. The free holiday maritime event features approximately 25 boats of all types and sizes decorated with lights, holiday themes, and other festive trimmings for the holiday season. The public is also invited for a leisurely stroll around the docks for an up close look at the brightly lit boats prior to the parade. Beginning at 4 p.m., the docks at Riverwalk Marina open allowing the public to admire the boats and their holiday decorations before they set sail. In addition, the Morgan County Humane Society will be on-hand with various animals available for adoption. With Christmas just around the corner, a new pet would be a wonderful present for someone. The Morgan County Humane Society will also be accepting donations of pet food, supplies, and cash. At 6 p.m. the boat parade will take its usual circular route, making three trips from the entrance of Riverwalk Marina located on Highway 31, west to the Railroad Bridge, east in front of Rhodes Ferry Park to the Highway 31 bridge, and then back into the Marina. The best viewing will be at Rhodes Ferry Park, the Hard Dock Café or at the Marina. Anyone interested in participating in the parade or for more information, contact Bob Namie at 256.306.0909. Free Movie Night at the Princess Theatre featuring the "Holiday Inn"
Enjoy the annual Decatur Christmas Parade outside our theatre, then bring your friends and family inside for the warmth of another Christmas tradition – the classic 1942 Christmas movie HOLIDAY INN starring Bing Crosby and Fred Astaire. 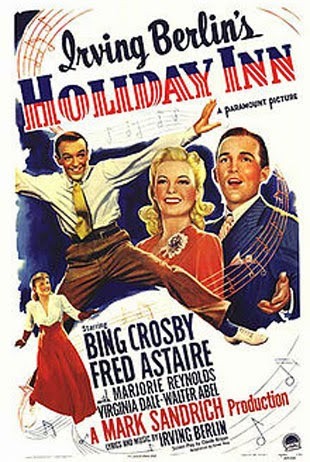 With music by Irving Berlin, singing by Bing Crosby and dancing by Fred Astaire, HOLIDAY INN is one of the most delightful and memorable musicals of all time. It's an unforgettable grab bag of Irving Berlin's hit songs including the one and only "White Christmas." A big thanks to the Rotary Club of Decatur for providing this family movie night FREE TO THE PUBLIC! Annual Historic Decatur Christmas Tour is set for December 14. The Albany and Old Decatur Historic Districts will present their annual Historic Decatur Christmas Tour on Saturday, December 14, 2013. Twelve homes and sites, trimmed in traditional decorations, will be open for viewing as part of the self-guided tour from 2 to 8 p.m. Along with the tour, the annual event offers holiday decorating tips, carriage rides, refreshments, and live holiday music, and this year's event brings with it a Top 20 Event in the Southeast recognition. Residences in the Albany and Old Decatur Historic Districts are not normally open for public viewing except when a select number of homes open their doors during the annual holiday tour. This year's tour features 12 stunning homes and sites each beautifully decorated with luminaries, fruit, greenery, and thousands of lights. Participating homes and sites include the Reeves-Brown-Reed House, the Vickery-Wascom House, the Gray-Frankson House, the Chrissinger-Arthur House, Vintage Faith Church, the Minor-Storey-Prestwood House, the Beason-Schuerer House, the Wert-Gebhart House, First United Methodist Church, St. John's Episcopal Church, The Old State Bank, and the Carnegie Visual Arts Center. Along with the self-guided tour of homes, neighborhood churches will open their doors for inspirational concerts and refreshments. From 2 to 7 p.m., First United Methodist Church presents Nativities from Around the World and will offer refreshments. Carillon Christmas music can be heard throughout the afternoon and evening at First Presbyterian Church and Westminster Presbyterian Church. Sponsored by Glee Interiors, carriage rides will be offered beginning at 2 p.m. at the Carnegie Visual Arts Center (weather permitting). Tickets are $20 each and can be purchased in advance at the Decatur/Morgan County Convention & Visitors Bureau, Bank Street Art and Antiques, the Carnegie Visual Arts Center, Tammy Eddy Antiques and Interiors, and Jimmy Smith Jewelers. On the day of the tour, tickets can be purchased at Jimmy Smith Jewelers, Decatur/Morgan County Convention & Visitors Bureau, Carnegie Visual Arts Center, Tammy Eddy Antiques and Interiors, and Bank Street Art and Antiques from 10 a.m. to 5 p.m. and at the Old State Bank, the Carnegie Visual Arts Center, and First United Methodist Church from 2 to 7 p.m. Proceeds from the tour are used to preserve, protect and enhance the character and legacy of the historic neighborhoods. For a schedule of events and more information on the historic homes and sites, visit www.decaturchristmastour.com. on display Nov. 19, 2013 - Jan. 11, 2014. 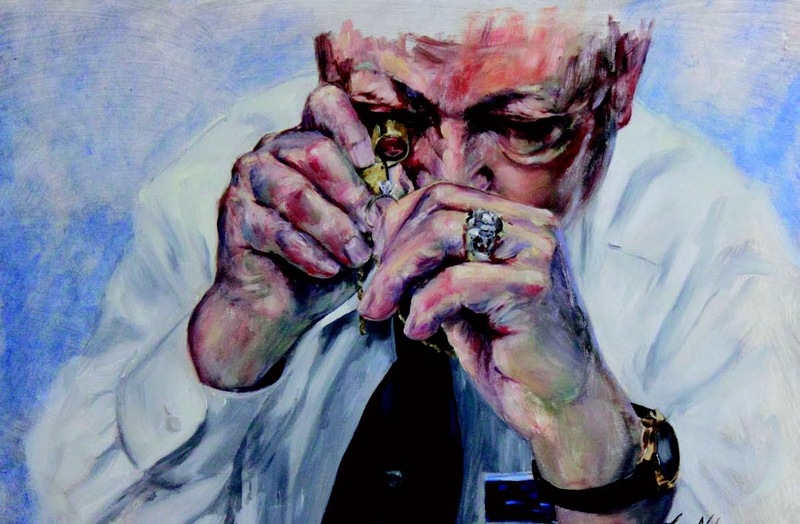 The solo show features 50 oil paintings of the hands of amazing individuals. Each person’s hands reflect the life, passions, and influence that have been accomplished by each person. These people represent hundreds of others who go above and beyond their profession and everyday life for the greater good. The subjects of this collection represent a cross-section of what it takes to be and build a community. Short written narratives of each person’s history and contributions to make this life a better place will accompany each hand portrait. A native of Decatur, Alabama, Lee Crane Nabors began the pursuit of her passion for art as an adolescent. She began taking art lessons from accomplished local artist Jackie Goode. Lee graduated from Auburn University in 1984 and married William H. (Rip) Nabors in 1985. In 2000, after years of being a stay-at-home mother of two children, Lee rekindled her artistic passion. She enrolled in independent study art courses at Calhoun Community College and attended workshops by Paul Leveille at The Artist School in Scottsdale, Arizona, and Wilson Ong at Maine Art Workshop, Camden, Maine. Lee has also studied under accomplished artists including Sally Strand of Orange County, California and Michael Shane Neal of Nashville TN. In 2005 her professional focus became watercolor home portraits and pastel pet portraits. Always wanting to develop her skills, she then began creating still life and portrait works in pastel. Lee is an active member of the Decatur Art Guild, Southeastern Pastel Society, Alabama Pastel Society- ME, Cecilia Beaux Forum and the Portrait Society of America. Resent competitions and accolades include First Place in the 2013 Montgomery Art Guild/Regions Bank Competition; Hoover Art Alliance Award at 2013 Alabama Pastel Society Member show; 2013 Richeson Art finalist, in the Still Life and Floral National competition and has earned Master Of Excellence from APS. 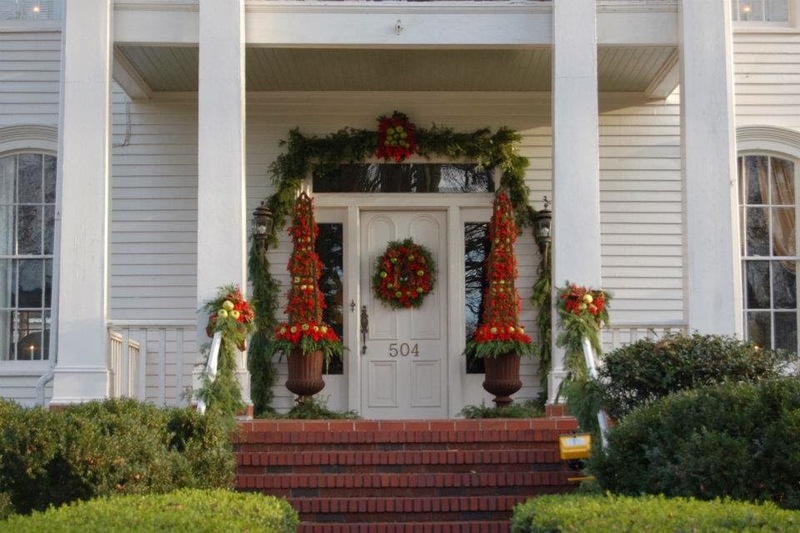 Welcome the holiday season with an heirloom boxwood wreath you make yourself! Join us on Tuesday, December 3, 2013 at 1:00 pm for a wreath-making class at Pond Spring, The General Joe Wheeler Home. 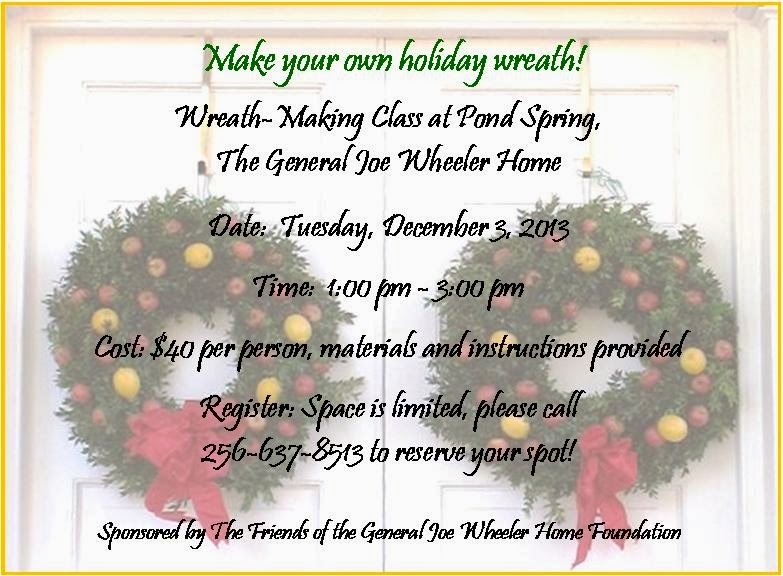 Sponsored by The Friends of the General Joe Wheeler Home Foundation, the class will offer step by step instructions to guide you in making and decorating a holiday wreath for your home. Greenery will be provided from English boxwoods and other festive foliage grown on site in the historic gardens created by the General’s daughter, Annie Wheeler. Ribbon and other decorations will also be provided so you can make your wreath unique! The class will cost $40 per person, which covers materials and instructions. The class will last approximately two hours. Space is limited so please call to reserve your spot! For more information or to register for the class, please contact Kara Long at 256-637-8513. The Alabama Historical Commission protects, preserves, and interprets Alabama's historic places and is the State Historic Preservation Office. For more information about AHC, visit www.preserveala.org. The city of Decatur has been selected to hold the 2013 The Alabama Junior Cup Tournament, an Alabama Youth Soccer Association and United States Youth Soccer Association (USYSA) sanctioned tournament hosted by Premier Soccer Services. Organizers are expecting approximately 150 boys and girls club teams from across the state of Alabama for the three-day tournament set for November 22-24, 2013 at the Jack Allen Recreation Complex. The Alabama Junior Cup is a new tournament offering USYSA affiliated Premier, Challenge, Classic, and Academy level U9-U12 girls’ and boys’ competitive soccer opportunities. There will be a minimum of two divisions per age division/gender – an elite level of play and 1-2 competitive divisions tiered lower. Trophies will be awarded to the championship and runner-up teams in each age division. Each team consists of an average of 12 players, with each player accompanied by three or four family members. Majority of the participants and their families will utilize hotels, restaurants, and other businesses in Decatur throughout the three-day tournament providing a boost to the local economy. The Jack Allen Recreation Complex will also serve as host venue for the tournament November 21-23, 2014 and November 20-22, 2015. For complete registration information on the tournament, visit www.premiersoccerservices.com. For more information on the Jack Allen Recreation Complex, visit www.decatursports.com. The Fishers of Men National Tournament Trail is bringing its District 2 Championship to the River City for two days of competitive fishing where top winners qualify for its national championship. Set for November 8-9, 2013, the tournament is expected to bring approximately 250 anglers from Alabama, Georgia, Mississippi, Tennessee, and Kentucky who will be competing for a potential purse value over $20,000. The Fishers of Men National Tournament Trail is comprised of 11 districts. All teams who have entered at least three Fishers of Men Team Series regular season tournaments within a division and have finished in the top 80% of the 2013 season standings for that division are eligible to enter their respective district championship. Winners claiming over $7,000 and top 20% of the field in the District 2 Championship qualify for the prestigious Fishers of Men National Championship to be held in the spring of 2014. Anglers will begin arriving as early as November 4th to participate in the official practice days that are set for November 5th, 6th, and 7th. According to tournament organizers, the District 2 Championship is expected to provide an economic impact of over $350,000 to the Decatur and Morgan County economy through revenues generated by lodging, dining, and retail sales provided by anglers traveling from outside the area. Ingalls Harbor located at 802 Wilson Street NW will host the takeoffs and weigh-ins. The public is invited to attend the weigh-ins scheduled for 3 p.m. on November 8th and 9th. For more information on the District 2 Championship, contact Fishers of Men National Director Al Odom at 803.429.1784 or visit www.fomntt.com. The Fishers of Men National Tournament Trail is a nonprofit, nondenominational ministry whose mission is to present the Gospel of Jesus Christ to fishermen and their families through competitive and professionally run fishing tournaments. 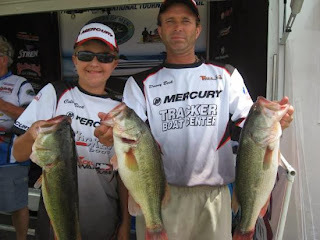 It began in 1998 as a small four division tournament trail with a total of 21 events through the first season and has now grown into one of the largest fishing tournament organizations in the country. Membership is open to anyone without regard to religion, gender, age, or race. For more information, visit www.fomntt.com.